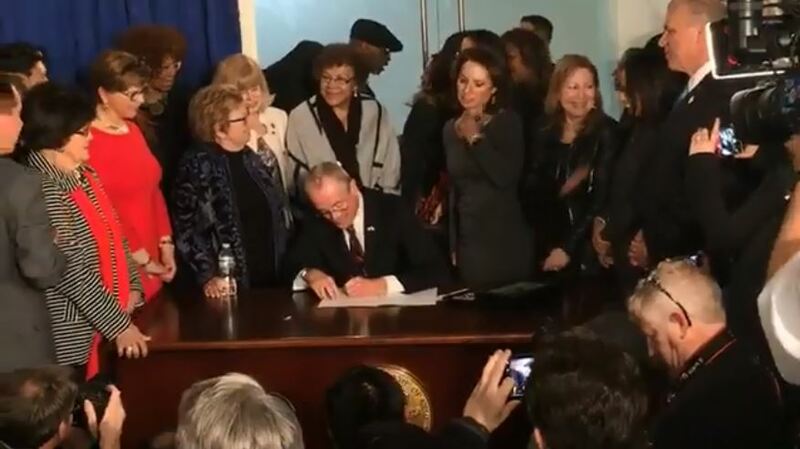 "Governor Murphy's executive order to promote equal pay for equal work makes it clear that his administration will fight for all working families and do everything in its power to ensure justice and equality in the workplace," stated New Jersey State AFL-CIO President Charles Wowkanech. "On behalf of the state labor movement, we praise this long overdue action and look forward to a new era of progress for our state's working families." New Jersey State AFL-CIO Secretary-Treasurer Laurel Brennan stated, "Our state is positioned to advance the fight for women's equality and economic justice, and the steps taken today show that organized labor, along with our state leadership, are ready to lead the way."